We (Keith and Anne Chambers) first glimpsed Nanumea from the decks of the original MV Nivaga at dawn on June 20, 1973. 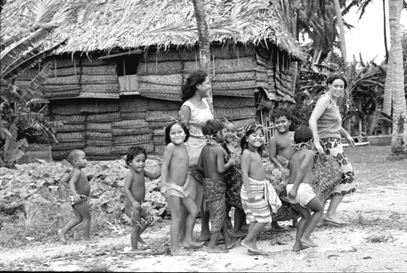 We had come to live in a wonderful far-off atoll community to learn about people's lives, their hopes, their history, and their wisdom. We were students. And all of you from Nanumea, elders and children alike, were our teachers. Malo, fakafetai ailoa, we thank you from the bottom of our hearts for sharing with us! 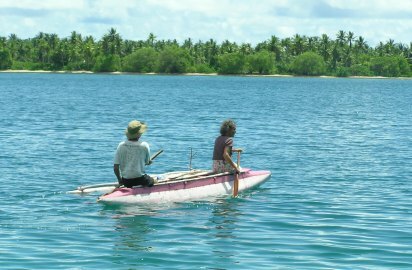 Over the years we have returned numerous times to Nanumea and Tuvalu. Our lovely children, Nonu, Kilea, and Tavita have all been able to join us in Nanumea on several visits. Each of them has been enriched and changed by these experiences, as have we. 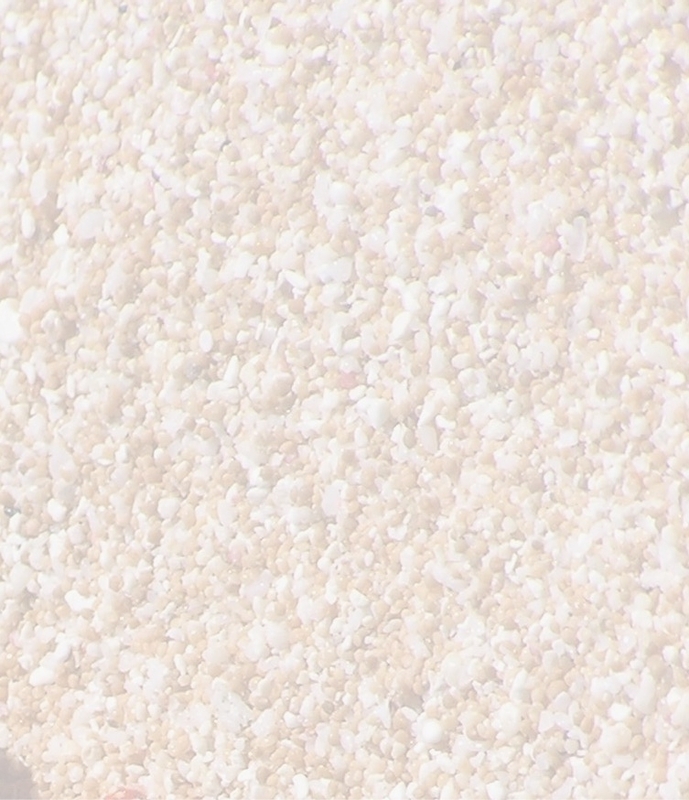 More than 40 years have passed since we first stepped on the sandy beaches of Nanumea. In that time we have published some of our work about our adopted island home. But we have also wanted to find the most effective way to return the valuable parts of our gathered materials and knowledge to you, ga tama a Tefolaha, fanau Nanumea. How best to do this? We believe that a website such as this is the best way to share back the rich information resulting from our years of research. Ane and I have undertaken to create and maintain this site, with Keith doing most of the hands-on work. This is not a commercial site -- nothing is sold on it and it does not earn any money. We are paying all costs for the domain and web-hosting and are donating our labor to develop and maintain this site. What Materials Will Be Available Here? weaving mats, titi, fau, etc. Very little of this information was recorded digitally. Digitizing it for the web is ongoing now. This is a labor-intensive and slow process -- we know it will take some years to accomplish most of the above. We have scanned and posted here family photos from the households that existed in Nanumea our 1973-74 visit. We are currently working on doing the same for the 147 households on Nanumea in our 1984 visit. And, as this work goes on, we will scan and post other photographs. Check the Photos Page frequently to see what has been added. We have a NanumeaNet facebook page as well. We have also scanned and posted here the 32 large sheets of Genealogy we collected in 1973-4 and 1984. An index to all names in these sheets is in process and will be posted here soon. Tape recordings and other materials will come as soon as we can get them converted to MP3 format.